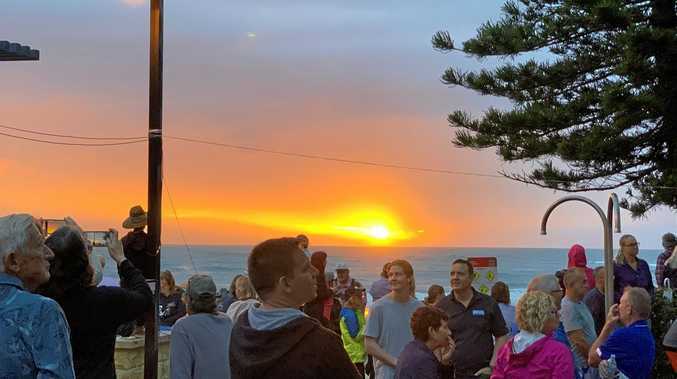 Passers by were horrified when they came across the scene. Picture: Facebook. 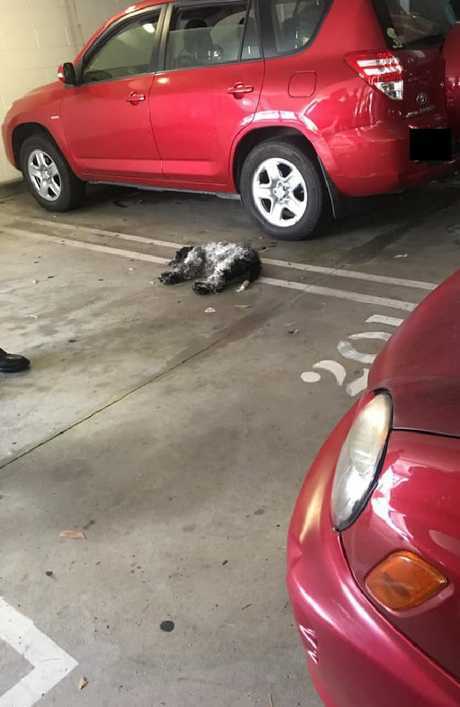 THE RSPCA is pleading with pet owners to stop leaving their animals unattended in cars after a dog accidentally hung itself at a shopping centre car park. 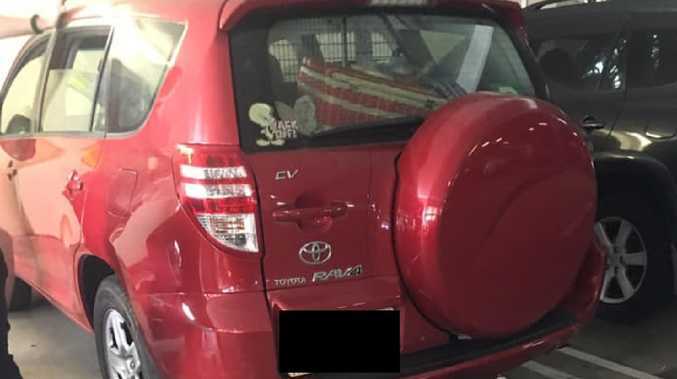 Yesterday afternoon a man was walking through the underground car park at Tweed Mall when he noticed a small dog hanging out of the window of a maroon coloured Toyota RAV4. The small black and white dog was hanging by its neck, hung by its collar which was attached to the seatbelt. A dog was found dead outside a car parked in Tweed Mall shopping centre. Picture: Facebook. The window was open wide enough to allow the dog to jump through, but once it jumped through it was suspended by the contraption that was supposed to keep it inside. The man who discovered the animal also noted there was another dog and a cat inside the car. 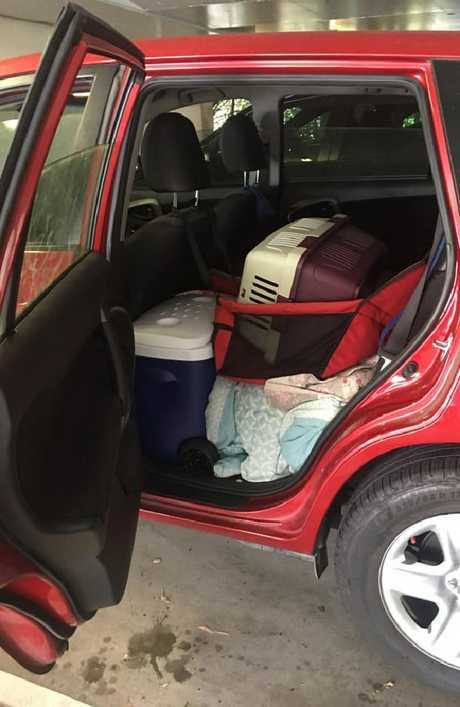 RSPCA NSW Deputy Chief Inspector Scott Meyers said it is a common misconception that leaving a dog in a car parked in the shade or with the windows down is safe. It is believed the dog had died after choking when it tried to escape through a slightly opened window. Picture: Facebook. The incident was evidence that is not the case, he said. "It's apparent some people are just not getting the message that a parked car is no place for a dog," he said. "It can be lethal, as we see all too often." NSW police are investigating the matter.